Jason’s practice focuses on the litigation of complex intellectual property disputes, with an emphasis on patent litigation. He represents clients in federal district courts across the country, before the U.S. International Trade Commission, and in post-grant proceedings at the United States Patent and Trademark Office. Jason represented and successfully argued on behalf of the petitioner in the first-ever inter partes review (IPR) conducted at the USPTO under the America Invents Act. 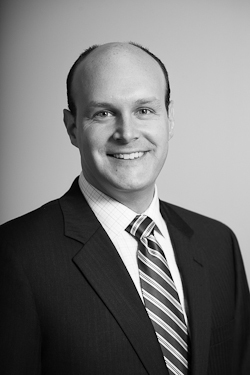 The National Law Journal recognized Jason for this accomplishment by naming him to its list of “2014 IP Trailblazers and Pioneers.” IP Law360 named Jason to a list of nine attorneys nationwide recognized on its list of “2015 IP MVPs.” Jason is a frequent invited speaker and panelist on topics relating to PTAB post-grant proceedings and patent litigation. Jason’s experience spans a wide range of technologies, including software, microprocessors, navigation and GPS technology, automotive technologies, vehicle interfaces, electro-mechanical systems, telecommunications, liquid crystal displays, avionics, medical devices and diagnostics, consumer products and textiles, networking and internet technologies, health care information systems, medical informatics, console and online video games, and pharmaceuticals. He has significant experience in all phases of litigating patent cases, including managing discovery, taking and defending fact and expert witness depositions, Markman procedure and hearings, motion practice and hearings, pre-trial proceedings, bench and jury trials, and appeals, including appeals to the U.S. Court of Appeals for the Federal Circuit. Jason also has experience in matters involving trademarks, copyrights, design patents, trade secrets, Hatch-Waxman and ANDA litigation, unfair competition, tortious interference, antitrust and cyber law issues. Jason’s practice is international in scope, having been involved in deposition practice in numerous countries and continents around the world. Represented Garmin in first-ever inter partes review (IPR) before the Patent Trial and Appeal Board, which resulted in a favorable claim construction ruling and all claims under review being held invalid. Represented Ford Motor Company and Mazda Motor of America Inc. in a patent infringement action relating to RFID fuel dispensing technology, which resulted in a decisive victory during claim construction in which the court invalidated certain claims and construed others in a manner that required the patentee to stipulate to noninfringement. As a registered patent attorney before the U.S. Patent and Trademark Office, Jason has prepared and prosecuted domestic and international patent applications in the areas of computer software and telecommunications, as well as in the chemical, pharmaceutical, medical, and metallurgical arts. Jason also has counseled clients on infringement, validity, and licensing issues. Before practicing law, Jason worked as an engineer for Kimberly-Clark Corporation where he was involved in the design and manufacture of consumer products. Jason is admitted to practice before the state courts of Missouri and Kansas, the U.S. Court of Appeals for the Federal Circuit, U.S. District Courts for the District of Kansas, the Western District of Missouri, the Eastern District of Texas, the Eastern District of Michigan, the Eastern District of Missouri, the Northern District of Texas, and other various federal district courts around the country. Jason is also admitted to practice before the United States Patent and Trademark Office.